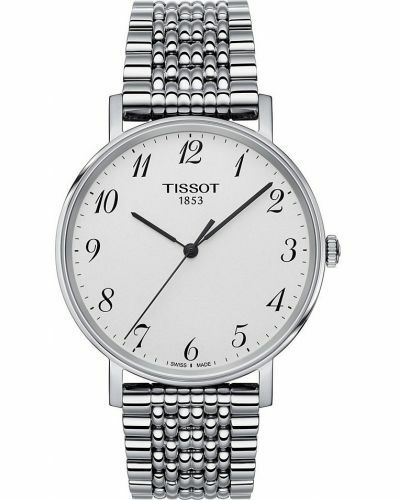 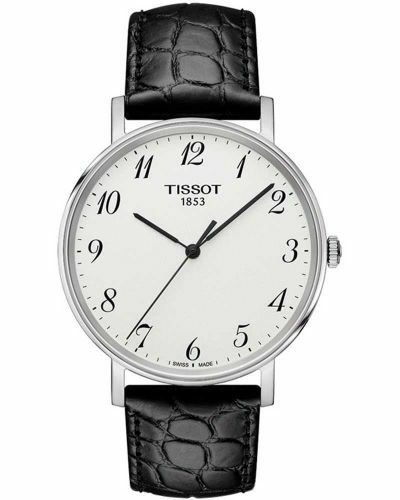 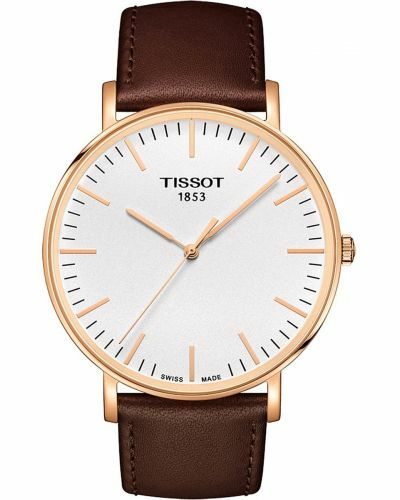 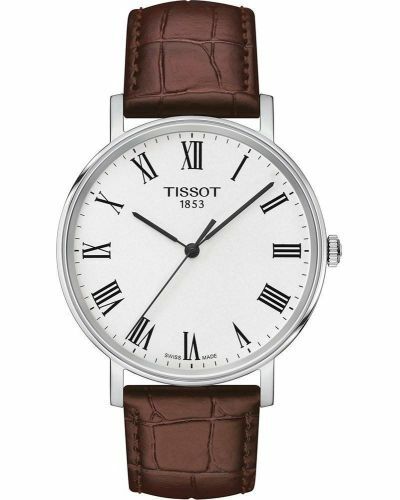 This contemporary mens watch from the Tissot Everytime range is swiss made and fitted with a sapphire crystal glass. 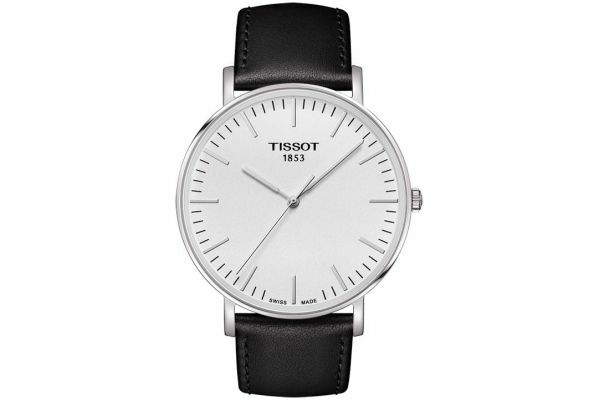 Using a polished stainless steel case and black leather strap, this timepiece fastens together securely and sits beautifully on the wrist. 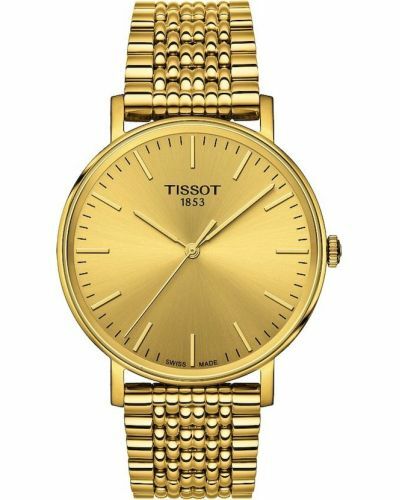 Perfect for day to day wear and evening wear. 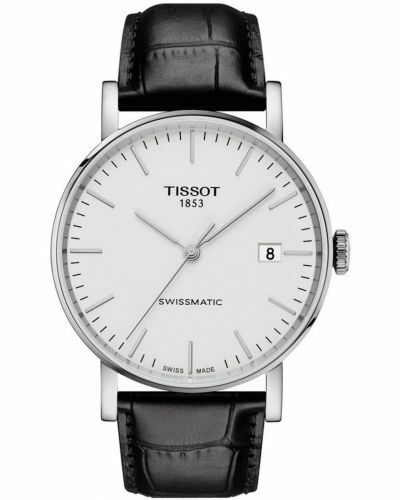 The T109.610.16.031.00 has a classic minimalistic style dial and small numerals.